This month I was on the hunt for Glamour Magazine's Clinique freebies (mascara, moisturising lotion and chubby sticks) and managed to get all but the mascara. I was made up after searching in about 10 shops for them that these were the last two in Tesco! They are in the shades Whoppin' Watermelon and Super Strawberry and for £2 each with the magazine it is an absolute bargain and I'm sorry that I didn't get more, although I think a lot of people would say I was selfish for getting more! They aren't full sized versions, as the retail at £17.00 for one, you really can't argue with this huge discount for a smaller version! 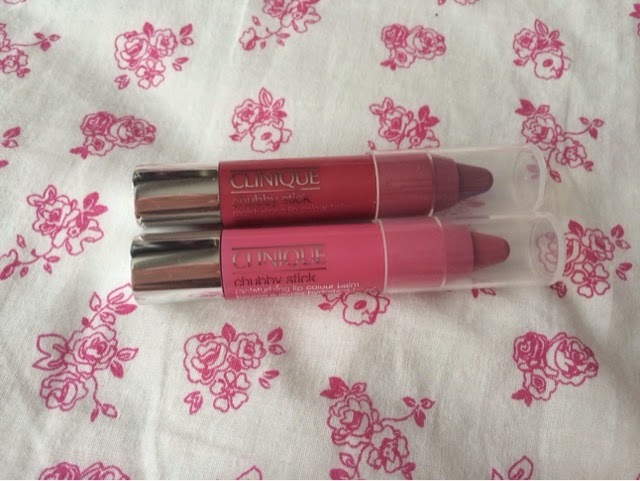 The Chubby Sticks are moisturising and I already have an MUA one and two Revlon coloured balm sticks and I can tell from the quality that these Clinique ones are better than the Matte formulas of the Revlon ones, although they match up pretty well with Revlon's satin version. They are lovely shades for summer and you gain the benefit of your lips being lovely and soft at the same time as adding a subtle tint of colour to your lips, perfect for when you want a little something to add, instead of wearing an overpowering lipstick. Super Strawberry is a darker shade than Whoppin' Watermelon but they both make your lips a lovely colour. The product isn't designed to stay on your lips throughout the whole day, as it is a 'Moisturising Lip Colour Balm' after all. I personally like touching up the colour on my lips anyway, so this is an easy way to do it. My favourite is Super Strawberry as I've always loved darker colours, but both are truely lovely. I was slightly disappointed by the lack of scent as the Revlon ones are like a peppermint flavour/scent and leave you lips tingly, so branding them with fruitful names did strike it odd that they didn't smell of much, but then again it is about the quality of the lip balm, not how it smells at the end of the day. 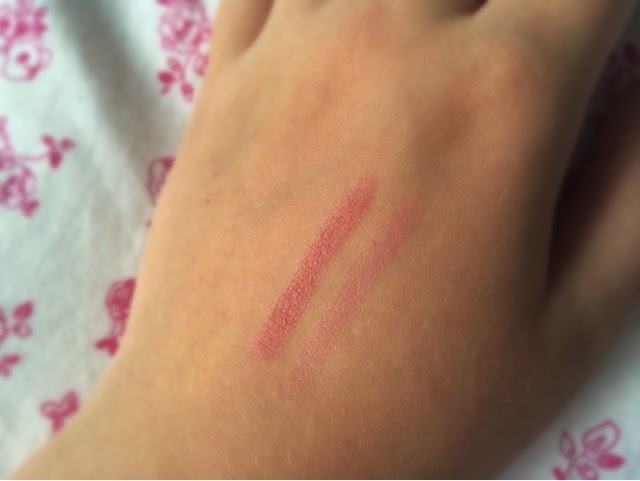 Despite any flaws, you don't need to sharpen your chubby stick as it winds up from the bottom, meaning you never have an excuse not to be wearing it, until it runs out that is. Overall, it did make my lips soft, and the size is great for travel or just placing in your handbag, but for the price it is a hard one to judge. Yes you get the quality, but for a fraction of the price you can buy a Revlon satin balm which gives the same effect. Personally, I love Clinique, but for a balm I wouldn't be spending £17.00, I would prefer to spend that on their moisturising lotion. I'm hugely grateful to Glamour for putting this in the magazine, as I would never have tried it otherwise! I love a 'freebie' and this has to be one of the best I've seen in a while.